Forget everything you ever knew about Warcraft. I imagine that’s essentially what Christie Golden had to do when she began work on Warcraft: Durotan, the movie prequel novel that hit the shelves earlier this week. And I can’t imagine that was especially easy, given that Golden has been responsible for a gigantic chunk of Warcraft‘s vast array of novels out there — including Rise of the Horde, the tale of the formation of the Horde, and the corruption of the Orcish race. This week’s Know Your Lore is a little different in that aspect — one part book review, one part examination of just how much has changed between the cinematic presentation of Warcraft, and what we already know from the game. Please note: This is a spoiler-free review and discussion. I wasn’t actually sure why we needed a prequel for the movie until I sat down and read it in full — and believe me, it’s absolutely required. First things first: Forget everything you ever knew about Warcraft. That’s the best advice I can offer to those planning to see the movie, particularly those with a vested interest in the lore. 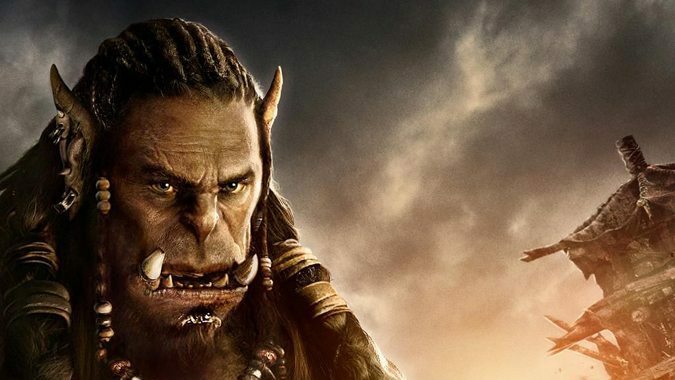 Durotan features some fundamental changes in the lore as we know it. Warcraft‘s story is over twenty years old. Sure, we as players know all about the history of Draenor, about the corruption of the Orcs, about the slaughter of the Draenei, about the convoluted history between Ner’zhul and Gul’dan, the opening of the Dark Portal, Kil’jaeden, Medivh, and everything poured into that original First War. But your average movie-goer does not, and to try and present the entirety of that complex universe in one two-hour film would have been an exercise in impossibility. So they didn’t. Instead, what appears to have happened is a distillation of Warcraft, a new look at a story that’s very, very old at this point, and a paring down of the complex into something more easily understood. The reason why I say, and keep saying, forget everything you ever knew about Warcraft is that you really don’t need it here. The story has changed in some ways, but the essence of that story is exactly the same. And for people that have a vested interest in lore and a really strong grasp on what happened when and who corrupted whom and which clans were prevalent during that time period – forget all that. Just forget it. If you try and concentrate on what has changed, you’re going to completely distract yourself from the story that’s playing out right in front of you – and it’s a good one. It’s a really good one. 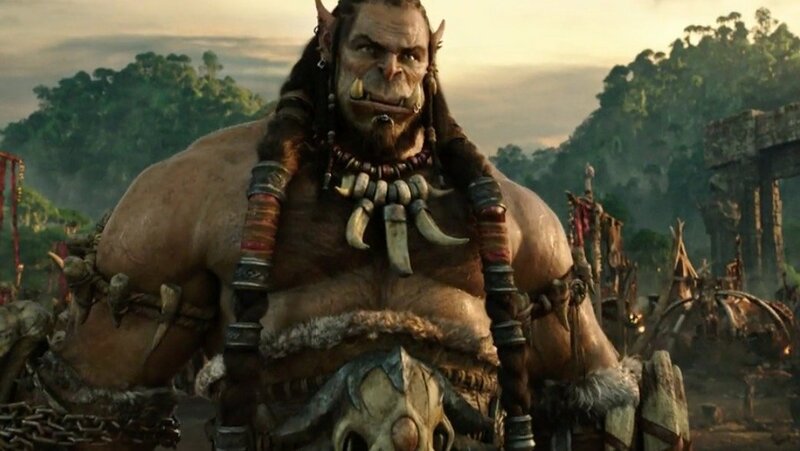 Honestly, these are the types of people I think really, really need to pick up Warcraft: Durotan and read it – and I’m including myself in those numbers. I didn’t know why we needed a prequel for the movie until I sat down and began to read it. And then I struggled for the first chapter and a half with the instinct to immediately start cataloging changes with existing, known lore, because I figured that would somehow be relevant, or important. It’s not. And once that first roller coaster of emotion that Golden is frankly, really well known for effortlessly pulling off kicked in, I finally managed to detach that part of my brain that really wanted to go all encyclopedia on this and just enjoy the story for what it was. The book did a remarkable job of getting me out of that lore-junkie state I’m usually in, and carefully pulling me into Durotan’s head instead. Are the situations different? Very. There’s no talk of Nagrand, of the Kosh’harg celebration — there’s no talk of Ner’zhul at all, there’s no talk of Kil’jaeden. The story of Durotan and Orgrim has changed, because Orgrim is now a Frostwolf, and has always been one in this universe. But that doesn’t really make a huge difference in the long run, and it feels better than the original story in that aspect. Garad and Geyah get more focus, and Garad’s fate is very different from the one we already know. There’s no mention of Durotan’s brother, or that he ever had one. But does all this really matter? No, not even a little — because the heart of the book, and what I’m assuming the heart of the film will be, is Warcraft. It’s that twenty-year long convoluted monster of a tale, distilled and simplified. And instead of weakening that story, this much-needed paring down just strengthened it. 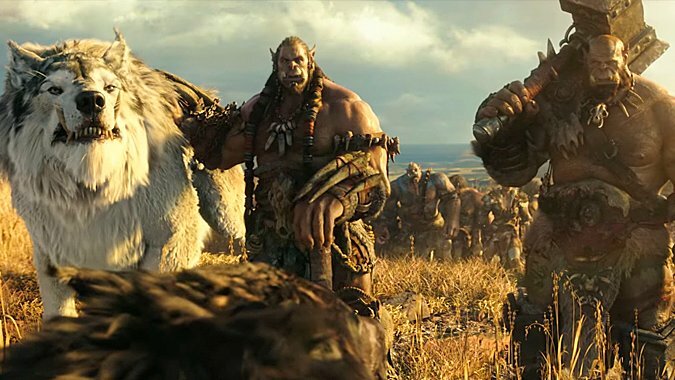 Warcraft: Durotan is essentially a retold version of Rise of the Horde, with a very different series of events, presented almost exclusively from Durotan’s point of view. It’s a different look at the world of Draenor and its fall, from the perspective of those who lived through it. The familiar names are all still there, but the situations have shifted, and the events that we know are going on somewhere in the background aren’t even hinted at, because they aren’t important. They aren’t important to Durotan, and this is Durotan’s story. What Durotan cares about is the survival of the Frostwolves – something he’s always cared about. What Durotan cares about is that his world appears to be dying right out from under him – and the reasons why don’t matter, to him. How his clan endures and continues on, that’s the important part. It’s not a gigantic, epic, world-sprawling fantasy tale, but it doesn’t have to be, and frankly, it works better when it isn’t. Instead of trying to keep track of what’s going on, I ended up forgetting about all the big names we don’t hear about in the book – Ner’zhul, Grommash, Kil’jaeden – and instead focusing on the plight of the names we do hear about, and consequentially get attached to. Christie Golden has always been excellent at writing the kind of characters you get invested in, and I don’t think this novel would have worked as well if it had been written by anyone else. Golden knows how to write Orc novels. And in Durotan, she essentially went about re-writing Rise of the Horde in Warcraft‘s very own fledgling cinematic universe. It’s an excellent book that tells a really compelling story, and that story will be continued with the release of Warcraft in theaters next month. 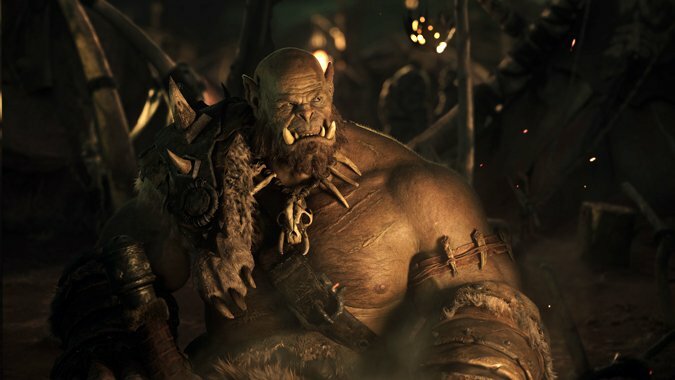 I don’t think we’re going to see any of the events from this novel heavily featured in the film – I think the film will simply pick up where Durotan left off, and tell the other half of the story, the Azeroth side of the story, while continuing the story of Durotan and the Frostwolves right along with it. 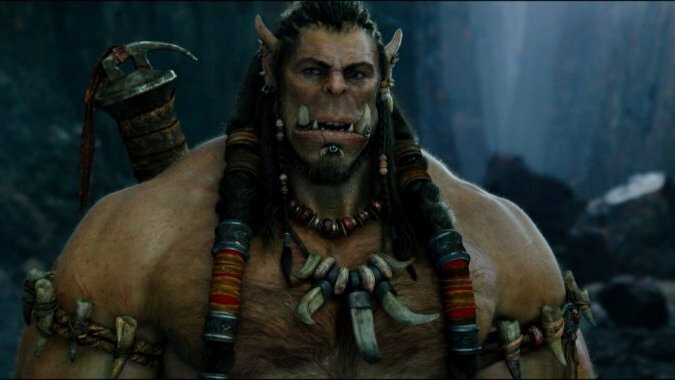 But if the Warcraft movie is in any way similar to what we get in Warcraft: Durotan, it’s going to be an amazing film. Different? Yes, but it’s different in a way that suits viewing on a big screen, as opposed to running through a game completing endless quests and merrily mowing down dungeons and raids. If you’re planning on seeing the Warcraft movie, I highly recommend picking up Warcraft: Durotan and giving it a read before you go, if nothing else just to detach yourself from whatever concept of the Warcraft universe you’re currently carrying around. Let yourself just let go of the monstrous and entertaining, tangling story of the game we play, and let yourself get absorbed in this new presentation of the universe instead. It’s a smaller, more intimate universe than we’re used to, one where all the twists and turns, all the corruption and chaos have yet to be revealed to the characters we know and love. And if you can just set aside what you know, and instead put yourself in the shoes of these weary travelers for a little while, I have no doubt that the movie itself is going to be an amazing experience.